I’ll be honest. This review is pretty late. In fact I had everything but the conclusion written and had it sitting for a year. I decided to release this information anyway because this TV is still going strong and looks amazing. You can find the review for this high quality, yet budget conscious review on our site now. 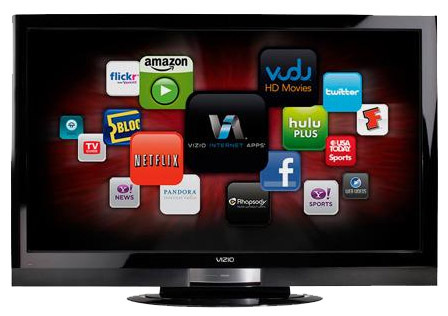 View the Vizio XVT553SV Review here. 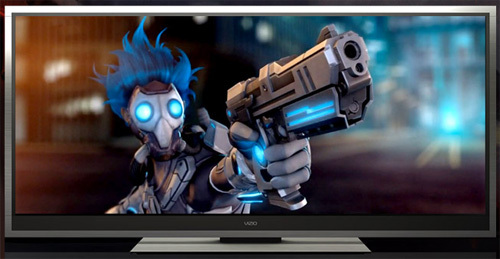 At CES 2011, Vizio showed off their brand new CinemaWide TV! This tv sports a 21:9 Cinema aspect ratio on a 2560 x 1080 Cinema HD resolution. How cool would it be to have one of these? This is the way TV is meant to be watched! The Vizio XVT3D554SV is out TV lovers! And the results are in. Let me know if you are interested in finding out additional information. We already have three Vizio reviews on the way as mentioned in my prior post. Hope you all have a happy new years.